How Do I Stop Deleted Apps From Syncing On iPhone? The Fix! You are at:Home»iPhone»Apps»How Do I Stop Deleted Apps From Syncing On iPhone? The Fix! It’s like the plot of a bad horror movie: You get rid of your apps, but no matter how many times you do it, your iPhone keeps downloading deleted apps. You don’t want them anymore. You don’t need them anymore. 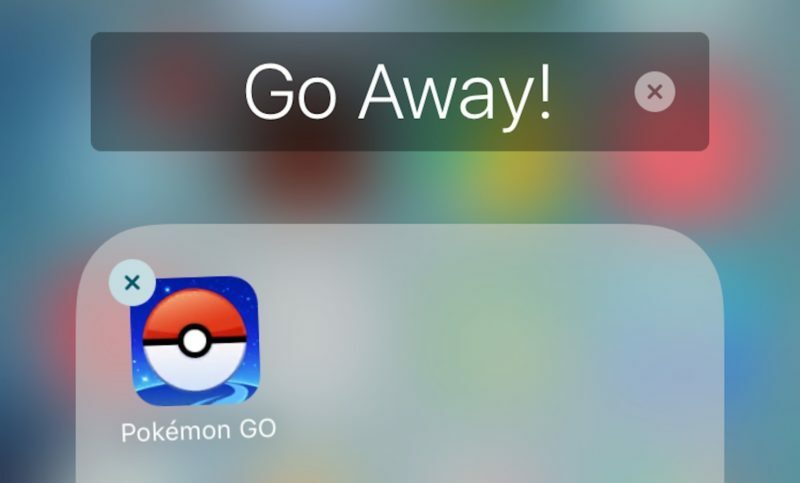 In this article, I’ll show you how to stop deleted apps from syncing on your iPhone. Why Do My Deleted Apps Keep Coming Back? The first thing you need to do to stop a deleted app from syncing is to delete the offending app. Press your finger on the app, wait until it is shaking, and then tap on the white “x” on the upper left hand corner of the icon. 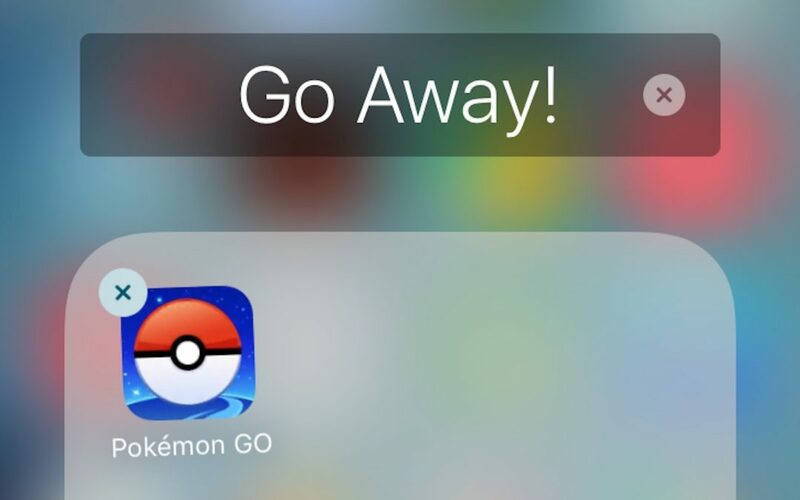 Keep in mind that you have only deleted the local copy of the app. Now we can move onto the next step in getting that deleted app to not sync. In this step, we’re going to uncheck the automatic apps sync option in iTunes on the computer that you use to sync your iPhone. 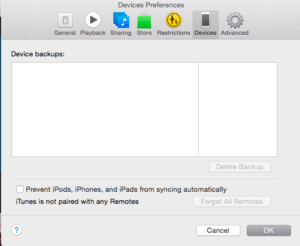 Check the box next to the words Prevent iPhones, iPods and iPads from syncing automatically. Turning off the automatically syncing options means that you now have the power to select only what you want to sync, and you can stop deleted apps from updating automatically. 3. My Deleted Apps Are Still On My iPhone, iPad or iPod! The final last step you may need to take in order to stop deleted apps from syncing and updating on your iPhone is one the iPhone itself. 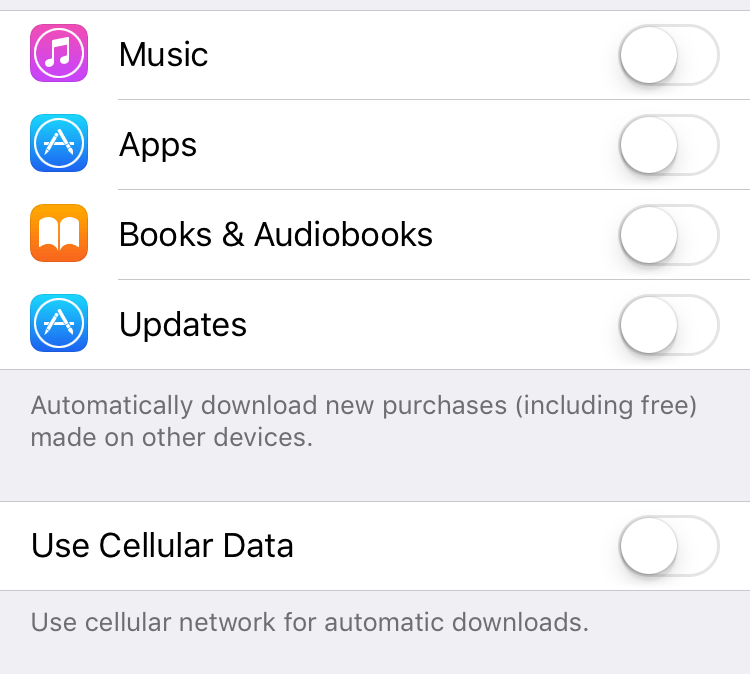 On your iPhone’s main screen, tap on the Settings -> iTunes and App Store -> Automatic Downloads and make sure the slider on the right side of Apps is turned off. If it’s green, it’s on — so make sure Apps is gray like the picture below. Deleted Apps: No Longer Syncing, Gone Forever! That app you downloaded six months ago doesn’t have to be an annoyance every time you want to sync your iPhone with iTunes on your computer. Let us know about any app hauntings in the comments below, and we’ll be happy to help. Previous ArticleHow Do I Automatically Add Emojis In iPhone Messages? It’s Easy! Next Article Parental Controls On iPhone: They Exist and They Work! Katie Gatto's work focuses primarily on writing about technology. She has previously written for sites such as Developer Shed, MSNBC and others. She also teaches computer science and information technology courses on the college level.